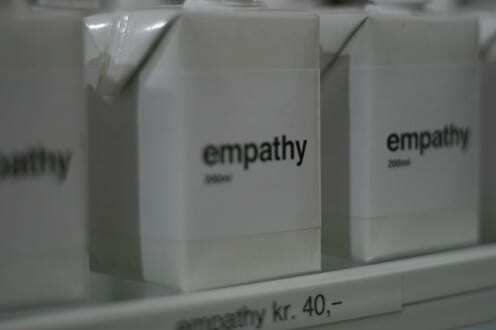 The core to an anthropological approach is the extension of empathy. We sort of know what it is like to be us, we conduct ethnography to understand what it is like to be ‘them’. In most disciplines it is assumed it is better for say a female who has given birth to study females giving birth. But my other project is on miscarriage amongst women in Qatar, where for me the whole point is that I am neither female nor Qatari. Similarly in this project we have an Italian anthropologist, but she is doing her fieldwork in Turkey, while it is our Romanian anthropologist who is working in Italy. Because being the ‘other’ helps to extend empathy, that is understand the people we are not. A good example of this in the study of social media is our attitude to children. The overwhelming stance from journalism and indeed most adult conversation tends to denigrate the child as basically ‘childish’ and the adults as obviously more mature. It is hard not to start from such assumptions. So, for example, it’s bad enough that people go on Facebook, but at least there is some serious conversation and text there. But young people migrate to Instagram which just seems a whole load of photos and filters and comments often by random strangers. Worse still the fastest growing platform in the world right now and the one that appeals to the youngest is Snapchat, which is where you send a photo or video that lasts a few seconds before it disappears from the screen. This certainly seems childish and superficial. Meanwhile in the village where I work, these young people are leaving Facebook which is being colonised by ever older populations. But then when talking to the schools you find that one of the reasons for these changes is that it is the adults who seem to be behaving like children. Again and again children have little quarrels and say awful things to each other. But they soon make up on the playground and are best friends again. The trouble for the schools is that their parents now see these comments on Facebook and start getting involved and saying their children are being cyber-bullied and going around to the other child’s parents and making a fuss and then complaining to the school, and the whole thing gets exacerbated and becomes a serious problem. Maybe it’s not surprising that the children leave Facebook and play instead with things like Snapchat. As they point out Snapchat is something almost always done between very close friends since it bonds and builds trust that they won’t overshare photos in which you look at your silliest. While Instagram is quite a serious concern to share images and imaginations and crafting one’s view of the world. Well I have just overgeneralised and perhaps even romanticised the kids. The investigations need to go much deeper over the next two years. But the point is that I need to try and work out why these 16 year olds behave the way they do, and appreciate that there are reasons out there which may sometimes be rather more adult, than the adults. I do this because the basic challenge is always to extend empathy.